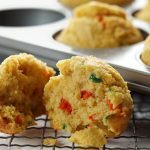 Recipes that use various types of peppers, including bell peppers, jalapeno peppers, cubanella peppers and more. 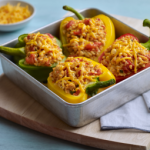 You’ll find recipes using sweet and spicy peppers, such as stuffed green peppers and stuffed jalapeno peppers. 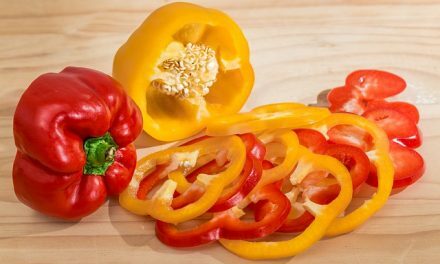 In addition to recipes that focus on peppers, you’ll also find recipes that include peppers, such as Chicken Cacciatore and Mexican Meatball Skewers. 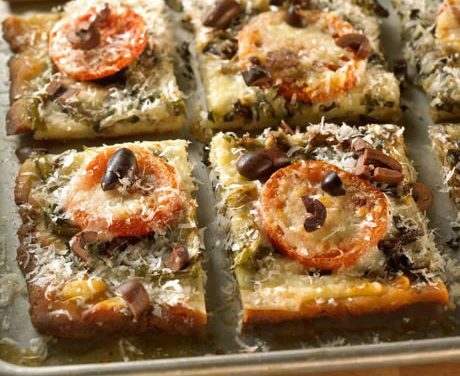 Recipe for Basil Focaccia Wedges from our Appetizers recipe section. Tender, grilled zucchini makes a delicious wrapper for crisp, colorful vegetables, fresh herbs and a creamy feta spread – all rolled into beautiful, bite-sized bundles. 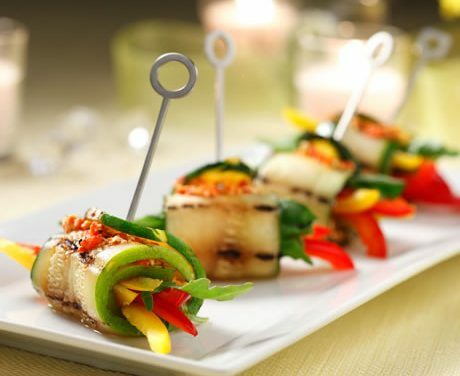 It is a true veggie celebration with grilled, roasted and fresh produce in each mouthwatering bite. Recipe for Zucchini Roll-Ups with Roasted Red Pepper and Feta Cheese from our Appetizers recipe section. 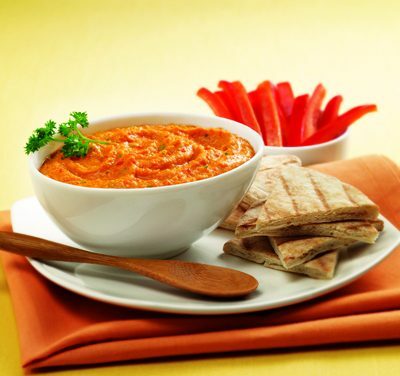 Recipe for Sweet Red Pepper Hummus from our Apperizers recipe section. 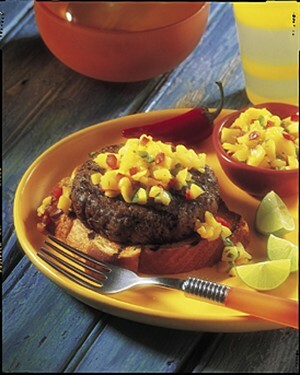 Recipe for Santa Fe Sunset Dip from our Appetizers recipe section. Add a twist to this year’s holiday ham by serving this chutney to accompany your centerpiece ham. 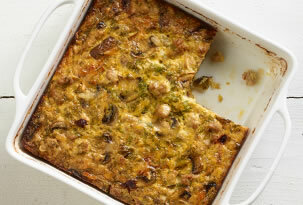 The sweet and smoky flavor of the ham complements this colorful, hearty topping. 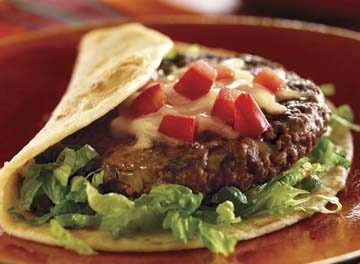 Recipe for Southwestern Chutney from our Side Dishes recipe section. Quinoa, an ancient “grain” that’s actually an edible seed related to beets and spinach, makes a fantastic base for a salad. 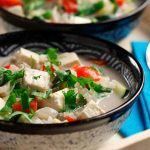 Its mild, nutty flavour lends itself well to soups, grainy breakfast cereals and anything in which you’d use rice or couscous. With a lighter, fluffier texture than most whole grains, quinoa is also a rich source of protein. 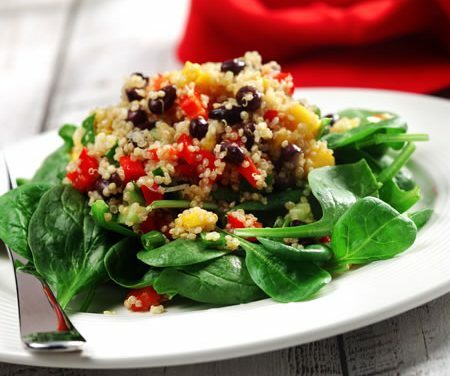 Recipe for Quinoa, Black Bean and Mango Salad from our Salads recipe section. 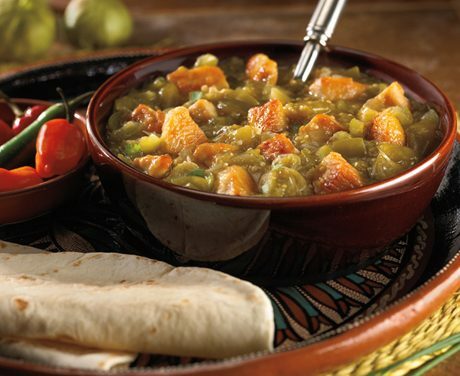 Recipe for Turkey Chili Verde from our Main Dishes recipe section. 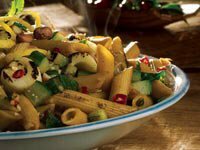 Many nutrition experts advise choosing vegetables and fruits in deep colors – dark green, yellow, orange and red. 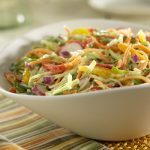 Since different colors often indicate the presence of different phytochemicals, eating a rainbow of colors is a good way to bolster your health defenses. 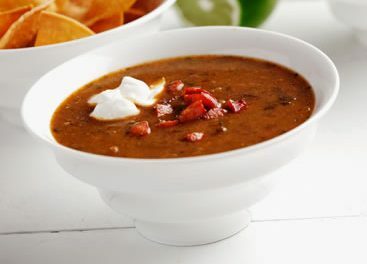 Recipe for Ten-Minute Gazpacho from our Soups recipe section.